Most Android launchers are relatively similar: Nova Nova Launcher - Even Better Than The Default Android 4.0 Launcher Nova Launcher - Even Better Than The Default Android 4.0 Launcher Up until Ice Cream Sandwich (Android 4.0) came along, Android’s interface felt somewhat less polished than iOS’s. 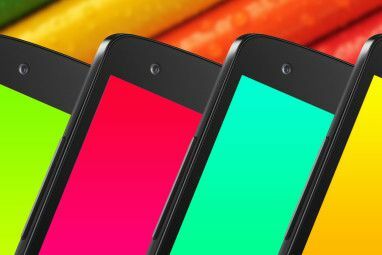 But with Android 4.0, Google made a clean break with the previous visual style for Android, introducing Holo... Read More , Apex Need a Custom Home Screen? Apex Launcher Gives You What You Want [Android] Need a Custom Home Screen? 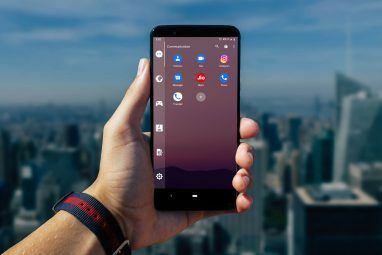 Apex Launcher Gives You What You Want [Android] For many users, Android is the mobile operating system that revolutionized the smartphone market thanks to the level of customization it allowed. Don’t get me wrong: the iPhone and the Blackberry (and more recently, Windows... Read More , and friends 5 More Free Launchers You May Not Have Heard About [Android] 5 More Free Launchers You May Not Have Heard About [Android] One of the great things about the Android community is that modifications and changes are always being made. 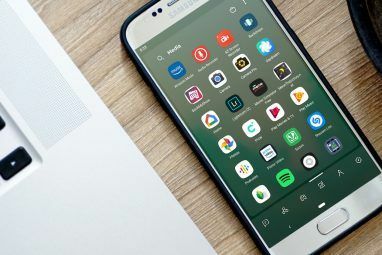 Android technology is always changing, and thus, there are always new avenues to explore--and so many more... Read More usually offer what you’d expect: One or more homescreens with some third-party widgets, an app drawer, and app folders. You can also change the wallpaper and customize the icons. Various launchers try to distinguish themselves by supporting screen swipes and other gestures (a Nova feature I use heavily), but at first blush, most are nearly identical. And then there’s Chameleon Launcher for Phones [No Longer Available]. This is a bold rethinking of the launcher — not quite on the order of Facebook Home, but definitely distinguishable from most other launchers. It will also set you back about $3. Being different doesn’t mean it’s necessarily better, but it does merit a close look, especially given its slick aesthetics. That’s very dense, and a bit of an acquired taste. Also making a brief appearance in the video around the 13-second mark is the innovative Contexts feature, which we’ll discuss next. It is easy to rename it and add a new one. This simple screen is a good example of the interface style you’ll find throughout Chameleon: It looks at home on Android and blends in well with the angular ICS/Jelly Bean aesthetic, but it’s very much its own thing ,too. You can also combine more than one condition. This consistency makes it easy to create a screen that feels orderly despite being packed full of information. “Temple Run 2 & Stuff” was the name Chameleon automatically assigned for the folder. I granted Chameleon Widget with access to my YouTube account repeatedly, but to no avail. The widget remained empty. Above you see just two rows of images being pulled in from Instagram. This was an occasional issue: At other times, the widget pulled in four rows, correctly filling up all available space. It’s an invitation to use the homescreen, which is nice. What isn’t as nice is that there is no way to remove that screen, so effectively, you will always have one more screen than you wanted. Chameleon has a lot going for it. By offering intelligent contexts, making everything into a widget, and adhering to a strict grid, it transforms Android in subtle ways. The result looks fresh, but performance and reliability issues plague what could otherwise be a very compelling alternative for the traditional Android launchers out there. 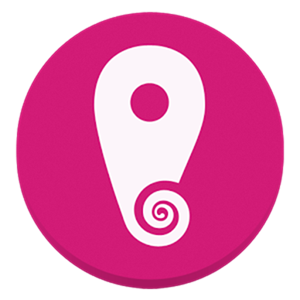 Will you be installing Chameleon, or will you wait for it to become more stable? How to Use Snapseed: 10 Tips for Better Snapseed Photo EditingMakeUseOf Tests: What’s The Best Voice Recognition Keyboard For Android? I've been using Chameleon for a while now and I've made it my primary launcher on my Galaxy S2. It does have some glitches but I love widgets and this is a launcher full of widgets. I also use it on my ASUS Transformer but I do that in conjunction with Apex. I did not like the way it fit on my NEXUS 7, it just doesn't look right in portrait on a 7" tablet, so I stick with Nova there. I also tinker around with Action Launcher because it has so many cool ideas. Used Samsung stock launcher, Go and Next launcher, but currently, I'm "stuck" at Nova Prime. Why? I love it features and it does not lag my phone. Along with Sidebar Pro, it's perfect, at least for me.